Wonder how the perfect combination of Beef & Tomato tastes like? 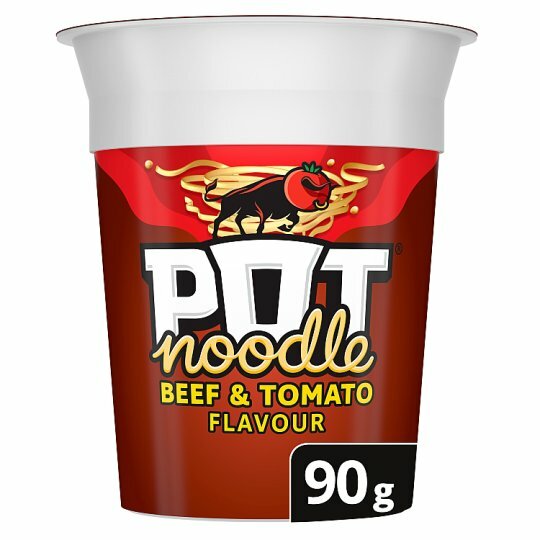 Try the UK's No.1 (Nielsen, Instant Hot Snack MAT Value Sales, 13/07/2017) instant Noodles in a Beef & Tomato flavour sauce with vegetables and a little sachet of tomato sauce. It's easy to make and only takes 4 minutes, so even if you aren't a master chef, you can make it. Less time cooking, more time chasing your dreams... Enjoy the Uk no.1 Snack. You Can Make It!